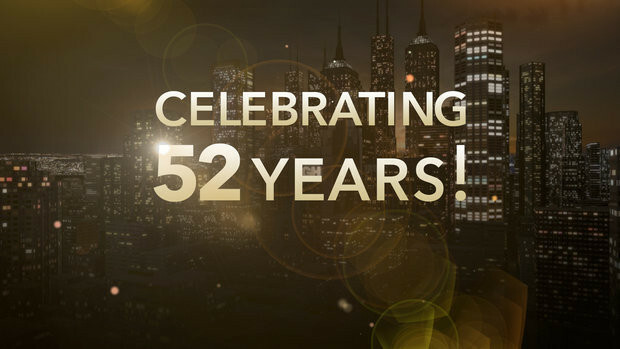 The past and present will collide on Wednesday, April 1, 2015 as ABC’s daytime drama “General Hospital” commemorates its 52nd anniversary. In honor of this momentous occasion, and as a treat to viewers, “General Hospital” has chosen to take us on a trip down memory lane by revisiting select scenes that first aired on April 1, 1963 when the show was first introduced to a television audience. Original characters from “General Hospitals” first episode will be portrayed by current cast members. Legendary character Dr. Steve Hardy will be portrayed by Jason Thompson (Dr. Patrick Drake), Nurse Jesse Brewer will be played by Rebecca Herbst (Elizabeth Webber) and Ryan Carnes (Lucas Jones) as Dr. Phil Brewer. Also, fans will have an opportunity to live tweet with “GH” Executive Producer Frank Valentini and a surprise guest during the April 1 show using hashtag #GH. Additionally, the long awaited truth about what caused Luke’s (Anthony Geary) mental break over the years will be revealed. Dee Wallace will portray Luke’s long-lost sister, Patricia, who will help Luke and his family answer these questions. “General Hospital,” which celebrates its 52nd anniversary on April 1, 2015, is the longest running American soap opera currently in production and the longest running scripted drama on television currently in production. “General Hospital” has received the prestigious Emmy Award for Outstanding Daytime Drama a record eleven times. “General Hospital” was created by Frank and Doris Hursley. Frank Valentini is the executive producer and Ron Carlivati is the head writer. “General Hospital” airs weekdays on the ABC Television Network.